The Dominion Rabbit and Cavy Breeders' Association was founded in 1909 by the late Len Parker. This national Canadian based club was designed to help promote the breeding, showing and total use of pedigreed rabbits and cavies in Canada. The DR&CBA hosts a number of shows each year, ranging from small table shows to 'The Royal Agricultural Winter Fair'. We also host a number of training and information sessions as well as fun events. 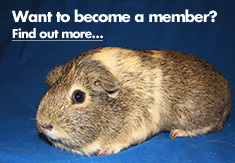 The Association has its own working standards for an ever growing list of rabbits and cavies. There is a Sweepstakes Program to encourage individuals to strive to produce the best animals possible. We have our own approved judges, that judge at the Dominion shows as well as a number of local fall fairs. So if you raise these animals for fun, meat, pets or what ever reason, contact the club and get involved! Membership information is a click away. Print it and send it off and become a member!! It is that simple. Our philosophy is to encourage interest in the education of rabbits and cavies, and the participation of the social aspects shared by other rabbit and cavy enthusiasts. We offer basic general information about rabbits and cavies and discuss the benefits of having them as pets, for breeding, showing and their various commercial purposes. Our website is designed to identify our organization and its members and to offer basic information about rabbits and cavies. We have dedicated webmasters who make changes to the site. The Events calendar page provides information on DRCBA and OCC shows and gatherings plus dates for other club shows that our members might be interested in. Members can submit articles for the Newsletter and these may appear in the members area of the website at a later time. New section/pages are added to the website as new content is developed. We will notify members through the Newsletter when there have been major additions and/or changes. Check the Events page often for event updates. LIFE HAS BEEN DESCRIBED AS NOT A SERIES OF MILESTONES BUT A SERIES OF MOMENTS. Over the years the Dominion Rabbit and Cavy Breeders' Association has traditionally honored past members. Many of these past members were life members. In the fifties there was a special night in January for the founder of organization, Mr. Len Parker. As time passed, the format was modified to a broader memorial day to honor all past members and has been held in April. At many of these meetings we held a table show. In 2005 we invited all life members to share with us a particular highlight, individual, memory or experience with the club. Life members were given one minute to speak. Of course many went over the limit. The response was overwhelming with over 100 people in attendance. We received written memories from those who could not travel that were read by long time members. Speakers in order of appearance included: Glenn Johnston, Eileen Land, Jack Strachan, Donna Grosser read by Rachel Johnston, Henry Timmer read by Ed White, Ann Scheffler, Jim and Rosa Chambers, Nancy Profit read by Liz Voigt, Liz Voigt, Bea Huggins, Norm Turner, Rene Clark read by Rachel Johnston and Bill Gardhouse. Barbara Bolce – Angoras, especially Satin Angora, Cavies and Netherland Dwarf, director, newsletter editor. Trevor Bronee – New Zealand White, Mini Rex, sat on many committees, commercial workshops. Albert Campoli - Dutch, Satin, famous for his Florida Whites. Pat & Mike Derose – New Zealand and Californian, Commercial herd. Bill & Maureen Dyke – Standard Rex, Tan, Neth. Dwarf, Fuzzy Lop, Smooth Coat Cavies, Mini Rex and Holland Lop, directors, DRCBA sec/treas. for 24 years. Deceased November 2018. Fred Funston – New Zealand, Commercial herd. DRCBA Judge and director. Bill Gardhouse – Dutch, New Zealand White, Standard Rex. DRCBA Judge, president and director. Dave Grandy – New Zealand, Satin. DRCBA Judge, director and show promoter. Glenn Johnston – Smooth Coat Cavies, Satin, New Zealand White, American Sable, Silver, English Spot. DRCBA Judge, President, director and show and event promoter. Gail King – English Angora, French Angora, Jersy Wooly, Cavies, DRCBA director. 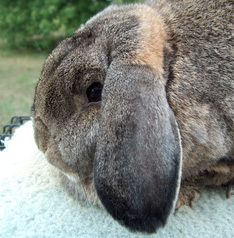 Eileen Land – French Angora. DRCBA Cavy Judge, director. Gord Manser – Angora, put on many spinning displays at Royal and CNE Shows. Linda Mason - French Lop, Florida White, Long hair cavy breeds, DRCBA Cavy Judge, director, President and show promoter. Ann Moffat – Californian, Satin, Mini Satin, DRCBA director and President, show promoter. Kevin & Sue Needle – English Angora, French Angora, Tri Mini Rex, Lionhead, DRCBA director, show promoter. 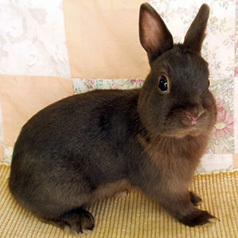 Nancy Profit (nee Morgan)– Famous for her Peruvian and Smooth Coat Cavies. She was the first female club president. Elizabeth Voigt – Flemish Giant, Ch. Argente, Satin, Californian, Neth. Dwarf, Holland Lop, Standard & Mini Rex, Himalayan, Sm Coat Cavies. DRCBA Judge, president, director, show promoter. Diane Webb – Dutch, Polish, Mini Satin, Jersy Wooly, DRCBA director many years, put on many shows. Ed White – American Sable (won a BIS with one at the KW club show in 2006), Ch.Argente & Brun,Himalayan, Dutch. DRCBA Judge, pres. & director, newsletter editor, show promoter. Beverley Yates - served for many as club secretary.